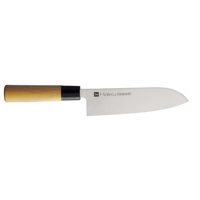 The Santoku Knife is an indispensable tool in the kitchen. 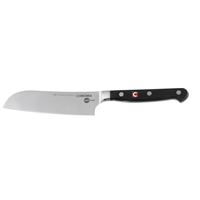 Perfect for paper-thin slicing, chopping, dicing and carving. From vegetables and fish to meat and poultry, the Santoku knife does it all! 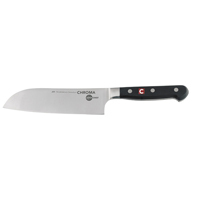 The blade is perfect for delicately cutting through tomatoes and other soft vegetables. The Santoku knife will add skill and precision to your cutlery collection.